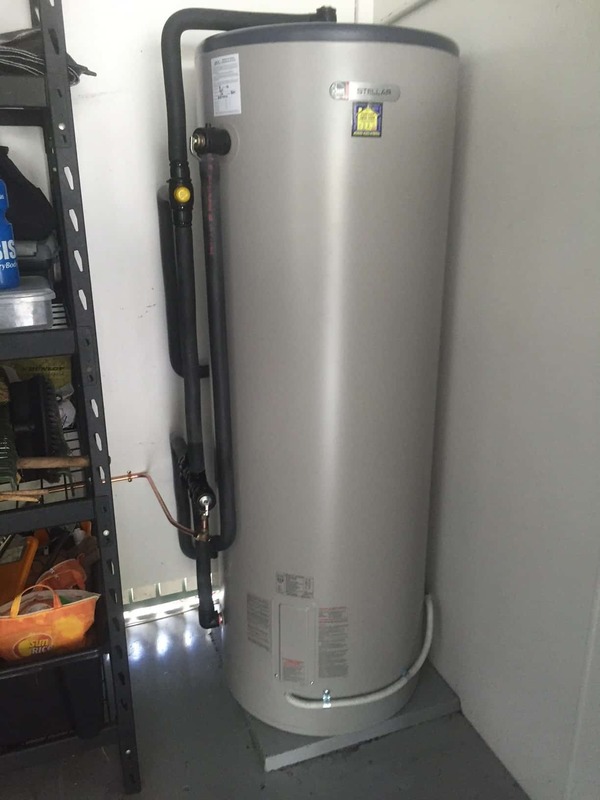 Electric storage hot water systems are Australia’s most common water heater. Known for their reliability and simplistic design, electric storage water heaters are used across range of domestic and commercial applications. The operation of an electric water heater is via a thermostatically controlled heating element. Standard sizes range in from 25L to 400L and can be installed both internally or externally. While the majority of tanks are constructed from vitreous enamel (coated steel), Stainless steel tanks such as the Rheem Stellar are becoming increasingly popular. 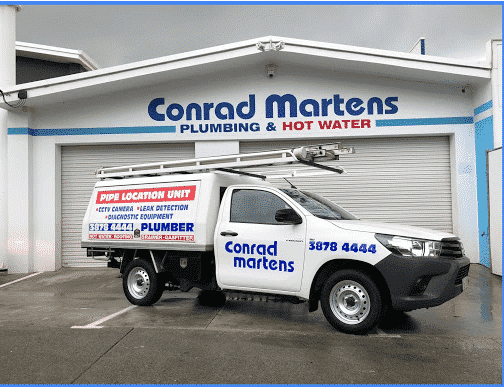 For repair, service and replacement in Brisbane, call Conrad Martens Plumbing & Hot Water. Electric Hot Water Systems come in a range of sizes, ranging from 45 – 400-litre capacity. The below table is a “rule of thumb” guide for selecting a hot water size. As every situation is slightly different, we do encourage consulting one of our hot water specialists before choosing a size. Vitreous Enamel (VE) is the most common hot water construction on the Brisbane market. VE tanks consist of an enamel coated steel tank which uses a sacrificial anode to help protect the integrity of the tank. Rheem, Dux, Aquamax, Rinnai, Everhot and Bosch are some of the leading VE manufactures in Australia. Some of the most common ranges include the Rheemglas, Rheem 491 and Dux Proflo Series. Warranty periods for vitreous enamel tanks can range anywhere from 5-12 years. 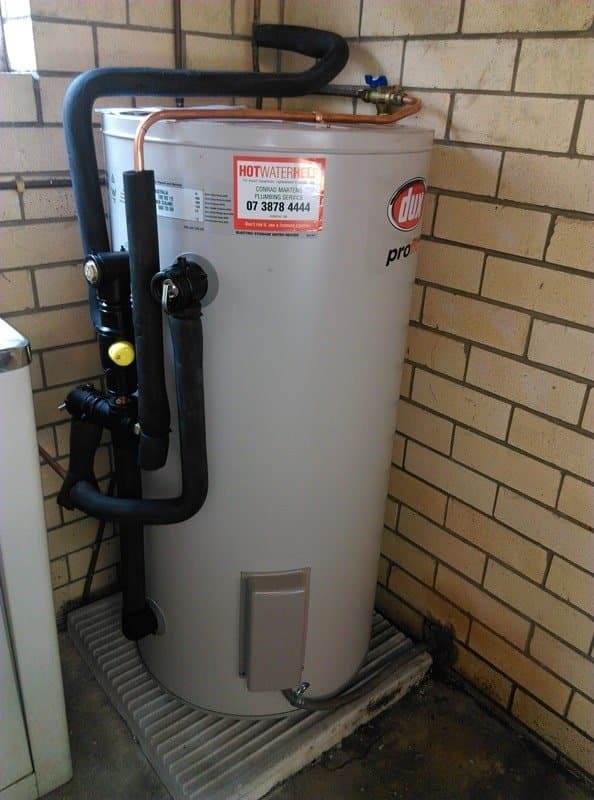 Stainless Steel (SS) electric hot water systems are increasingly popular amongst consumers in Brisbane. 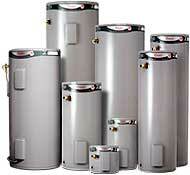 Premium water heaters such as the Rheem Stellar range boasts an increased lifespan and warranty period of 12 years. The Stainless Steel manufacturing process uses a protective internal coating to substitute the use of a sacrificial anode. SS does not carry a manufacturer’s warranty for areas with poor water quality. For more information, please refer to Rheem’s Suitability map. Copper (heat exchange) systems were extremely popular throughout Brisbane at the turn of the century. The major manufacturer, Saxon, was a Queensland-based Australian company known for their quality products and competitive pricing structure. Copperflow coil type heat exchange hot water systems are simple to install, easy to maintain and do not require numerous valves and ongoing maintenance (other than topping up the unit). Due to Saxons’ financial problems, and the need to conform to MEPS efficiency requirement, copper heat exchange tanks are no longer available. Customers often ask if they should choose a single or dual element hot water unit. Our advice is unless you have a massive requirement for hot water, a single element configuration is the way to go. They are typically more efficient (because they draw power from a single off-peak tariff) and are cheaper to supply and install. 1.8kw elements are the most common size throughout Brisbane. Typically found in unit complexes and older style houses, these elements put out a heating value of 1800w per hour. 2.4kw elements are common in 125L hot water units. Many retailers stock 2.4kw element hot water units as they provide a mid-level heating value and are compatible in most applications. 3.6kw elements deliver the highest heating value for a domestic system. Most commonly found in 50 and 80L hot water units. Tariff 11 (General supply) – A flat usage rate throughout the day and night. This tariff incurs a daily supply charge. Tariff 33 – Up to 40% cheaper than the general supply tariff. Supply per day approximately 18 hours. Tariff 31 – Up to 59% cheaper than the normal domestic tariff. 31 is the most economical electricity supply available, providing a minimum of 8 hours a day during low demand periods. If you are looking for a quote, service or advice, please don’t hesitate to contact one of our friendly hot water specialists on 3878 4444. Our technicians are capable of all electric water heater repairs, including elements, thermostats, valves and leaking tanks.